Almost 12,000 readers have filled in MCN’s Biking Britain survey. The results of our findings are printed here and in the print edition of MCN every week. Here are the top 10 leather jeans, as voted for by you. 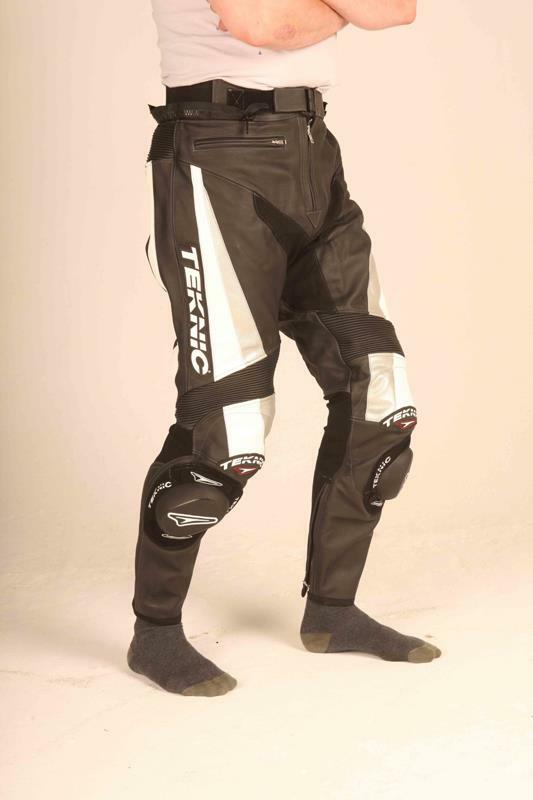 These are Alpinestars’ top of the range riding pants, designed to be used with a performance jacket on sports bikes. 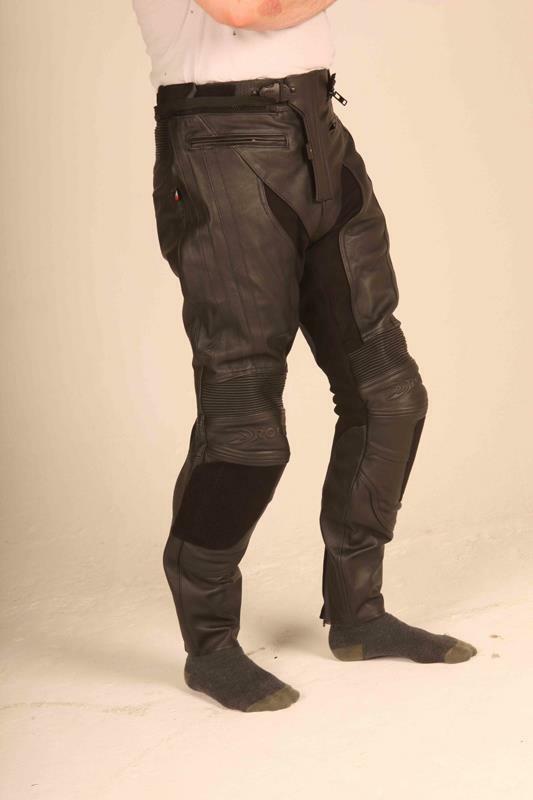 There are stretch panels over the knees, a waist connection zipper so you can fit them to a jacket and race compound kneesliders as standard. The main construction is 1.2-1.4mm leather and they’re fitted with CE armour. The Delta jeans have a full-grain leather construction, CE-approved composite knee protectors, a fixed sanitized lining and elasticised inserts. The sliders are interchangeable, there is a jacket-to-trouser fastening option and soft inserts for added comfort on the move. These 1.2-1.4mm thick leather jeans feature multiple main seam stitching, a pre-curved sporty-fitting shape, nylon stretch panels around the crotch area and behind the knees and accordion-style leather sections on the waist and the knees. 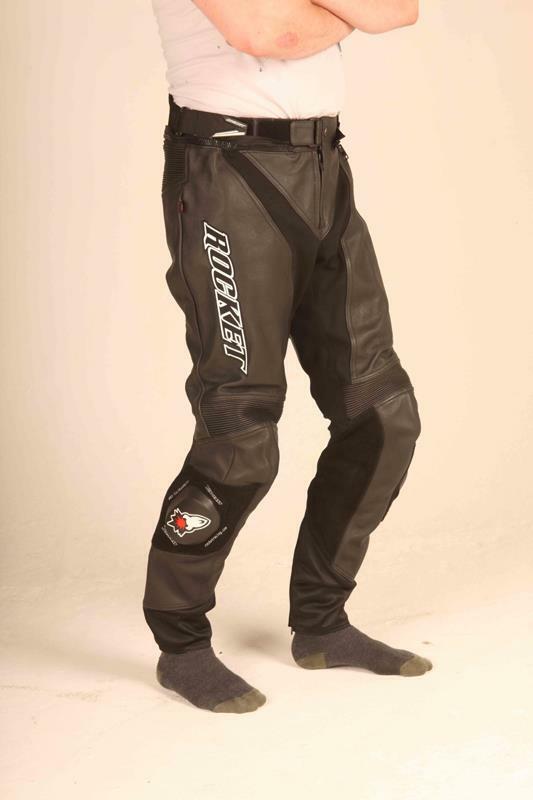 CE-approved armour is at the knees and sport kneesliders are standard. Different to the Alpinestars sport-focused pants in first and third position, the Bat is a more all-round friendly leather pant. 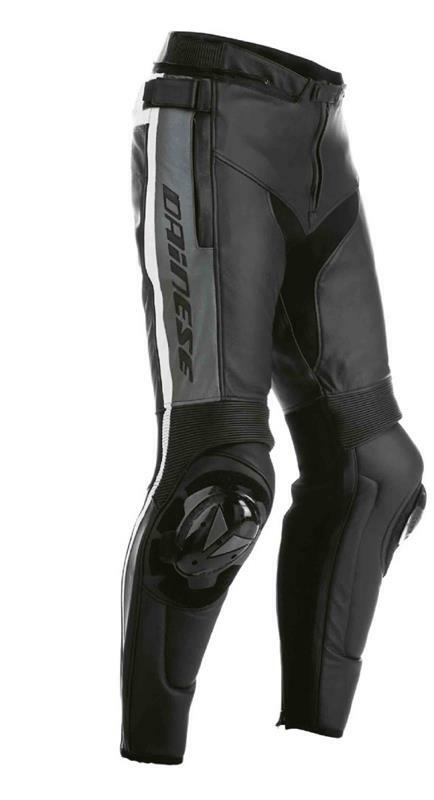 No kneeslider patches on these but they do have CE-approved armour at the knees, a waist zipper to connect to Alpinestars jackets, stretch panels, a waist pocket and calf adjustments. Massively popular in the US, Joe Rocket is growing more and more over here too. 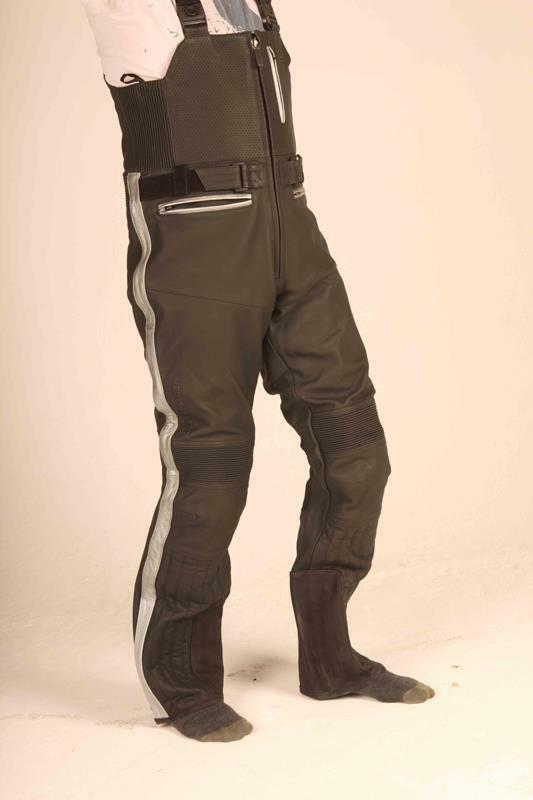 These leather jeans have a 1.2-1.4mm cowhide construction with CE knee armour and high density padding on the hips. The legs are pre-curved and a 360-degree zipper means you can attach them to a matching Speedmaster jacket. Kneesliders come with the jean. 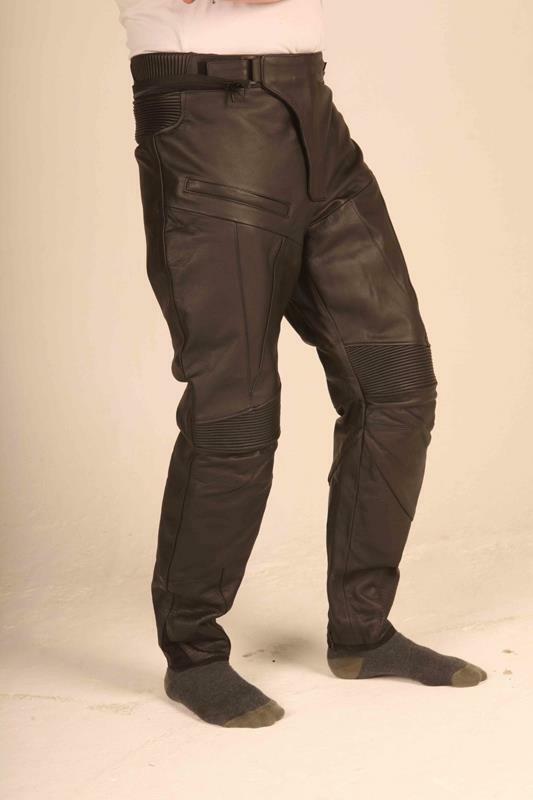 Like the Speedmaster jeans at number five, the Blaster 2.0 pants are made from 1.2-1.4mm thick cowhide, have CE armour at the knees and non-CE armour padding at the hips, a 360-degree connection zipper and an adjustable waistband. You can buy hook-and-loop knee slider patches and they come with reflective piping. The XTi is made from a matt-look 1.2-1.4mm thick leather with CE approved armour at the knees with the option to have more armour fitted into the hips at an additional cost. The seams are quad- and triple-stitched main seams. The pre-curved fit is made more comfortable with stretch panels and a newly designed kneeslider is now available. The biggest feature with this Hein Gericke pant is the leather is solar-reflective so the jeans are claimed to stay cool even in blazing sunshine. They come with adjustable braces, perforated leather panels and a reflective trim. There is CE armour at the knees, double leather on the seat and a 1.2mm thick main construction. The outer shell of these jeans are 1.2-1.4mm thick goatskin, and there are stretch panels at the back of the knees and the crotch. The CE knee armour is from Knox and there is a second layer of Cordura at the knee for better abrasion resistance. There’s a full-round waist zipper to fit to a jacket. Made from 1.2-1.3mm drum dyed cowhide, the RST offerings have Knox armour at the knee, Kevlar stretch panels, RST racing compound kneesliders as standard and triple- and double-stitched main seams. The jeans are also heavily perforated in areas for summer use and the seams all have bonded nylon thread.